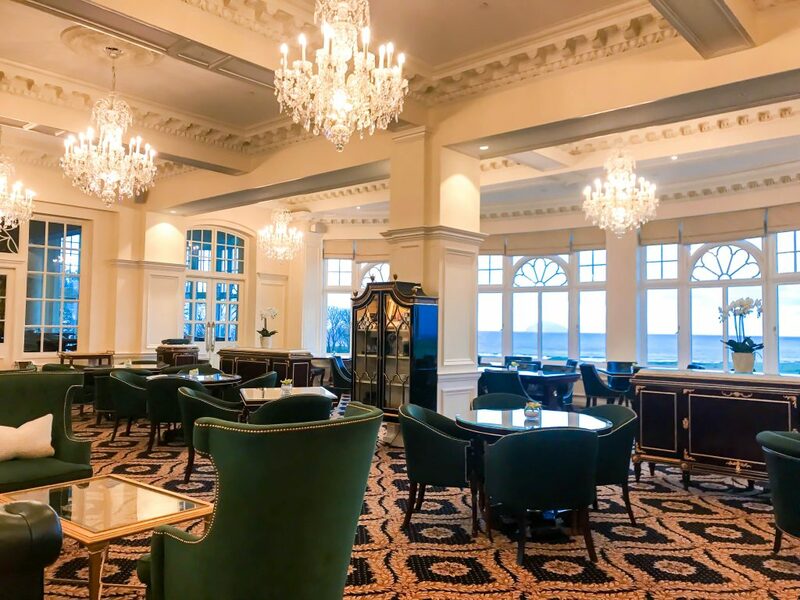 The thing that made my weekend luxurious in Scotland was the chance to stay at the Trump Turnberry, one of the most beautiful hotels in Scotland. 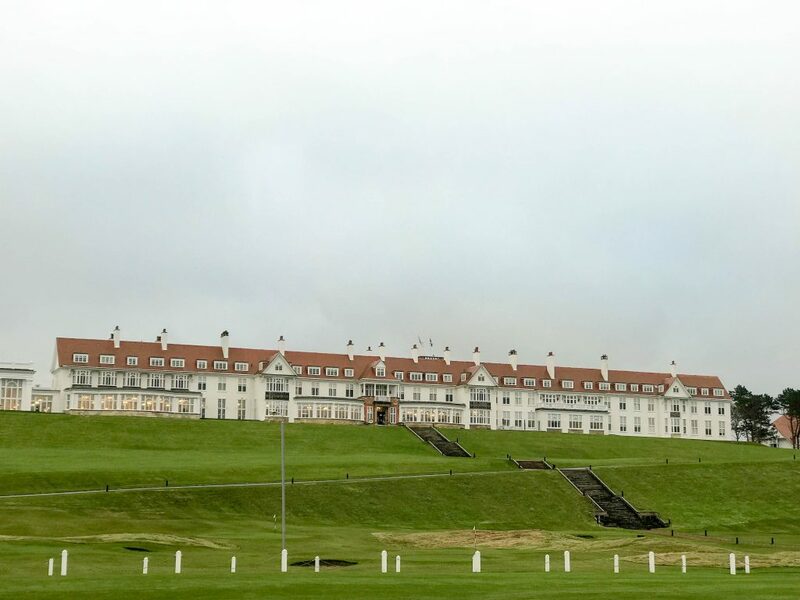 Regally overlooking a world-class golf course, the rugged coastline and as the Scottish Isle of Ailsa Craig, the Trump Turnberry is situated within in a sprawling estate. Elegant and grand, the interior is lavishly decorated with nods to the property’s past, as well as plenty of opulent glamour. While the hotel has found fame for its stellar location and facilities for golfers, a penchant for golf is not required to enjoy the Marriot Group hotel’s beautiful settings and services. An indulgent spa and several world-class restaurants are just some of the offerings that can be enjoyed by all. The hotel is located about one hour from Glasgow, situated on a striking coastline overlooking Ailsa Craig. The area is historic and beautiful; the spectacular Culzean Castle is just five miles away and the landscape is lush and green. The location is also linked closely with golf, with the game having been created less than ten miles from the hotel. To reach the hotel, we took a short flight from London to Glasgow, where we were luxuriously transferred over to the Turnberry. 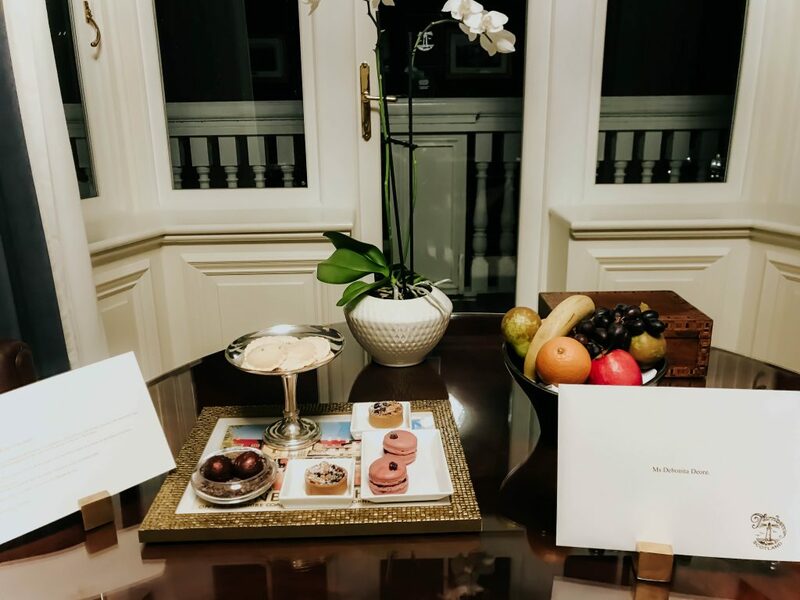 On arrival, we were warmly welcomed and offered a selection of traditional shortbread biscuits; a lovely way to begin our stay. 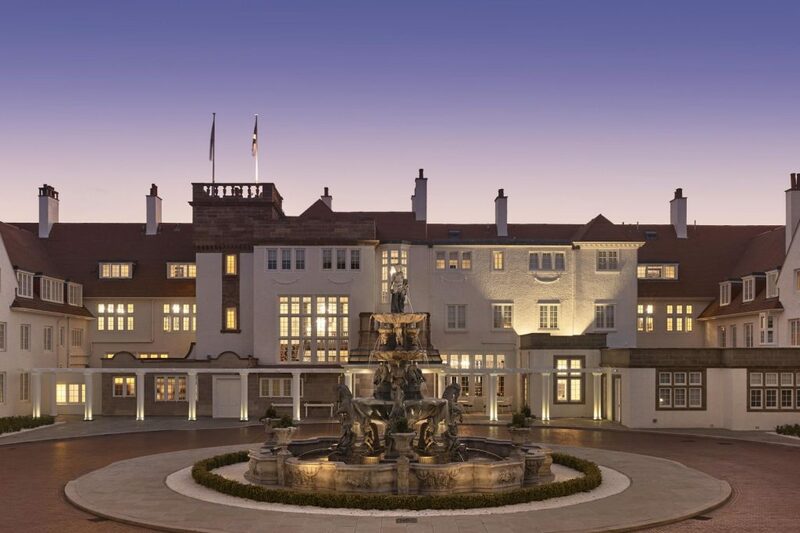 Strikingly positioned on Scotland’s west coast, the hotel was the first purposefully designed golf hotel in Britain and is flanked by the Turnberry course, which remains a revered course around golfing enthusiasts who can even take lessons from PGA pros. Its castle-like appearance rises grandly from the lush Scottish landscape, with its elegant whitewashed walls and ochre roof contrasted against the sky. 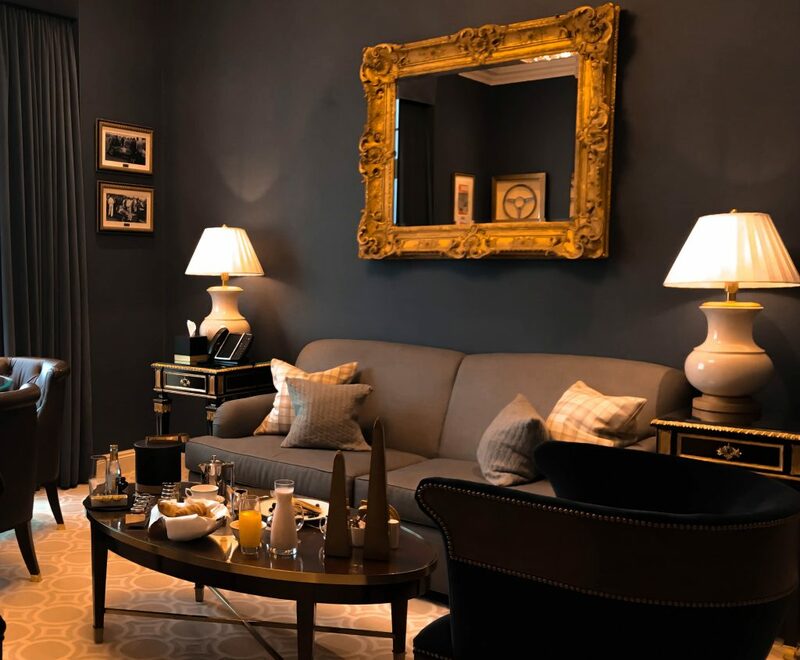 Inside, the hotel is soaked in opulence, with grand furnishings such as glistening chandeliers and grand gold leafing cloaking much of the furniture. No detail has been overlooked, and the result is truly sensational. 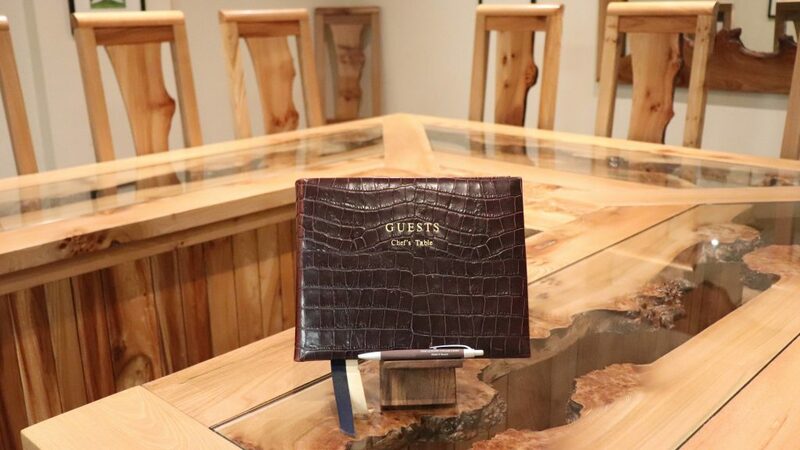 The staff, too, are devoted to ensuring a luxurious and comfortable stay, with no request too much trouble. 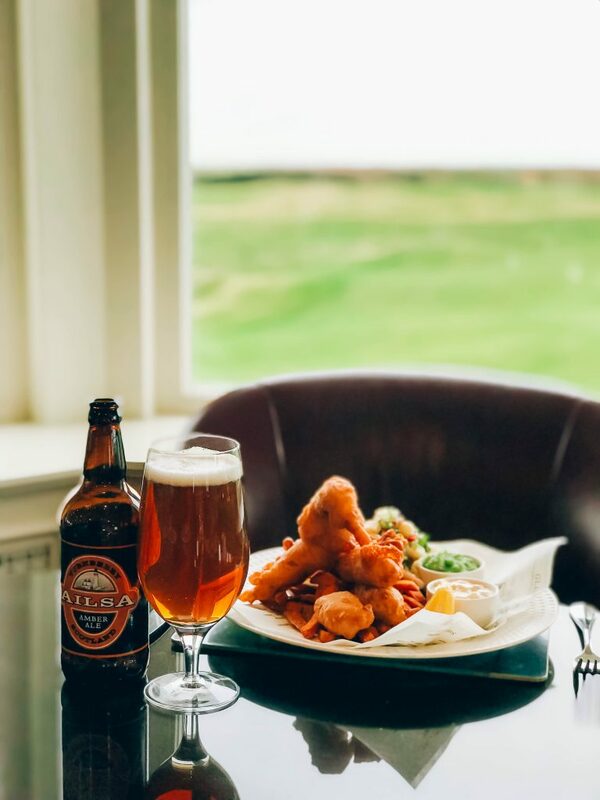 As well as the golf course, the Trump Turnberry has many other offerings to delight guests when not on the green. There is a luxurious and relaxing spa with a full range of divine services, as well as delicious eating options to enjoy. There is also a wide array of activities on offer, from four-wheel driving through the dramatic landscape to trying your hand at archery, and much in between. 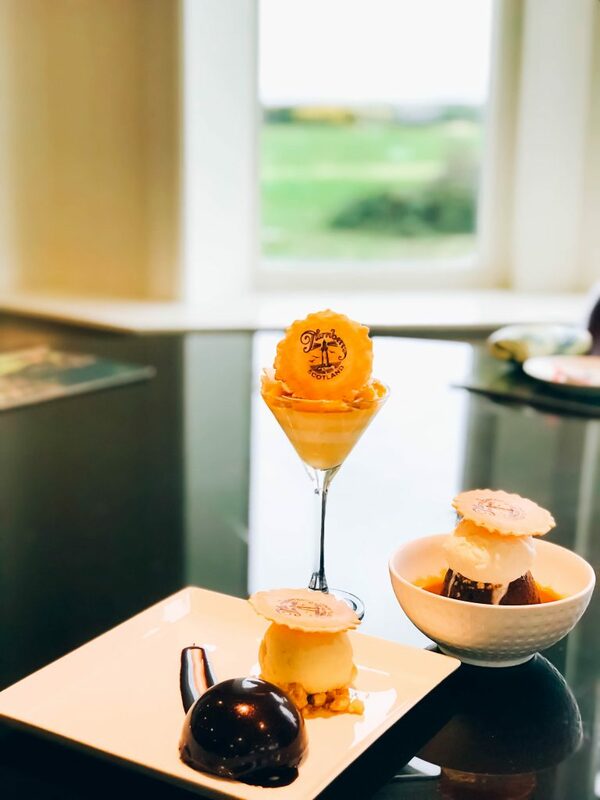 After I’d enjoyed the delicious shortbread, I was accompanied up to the Cink one-bedroom suite, one of four suites named after the four winners of the Turnberry Opens. 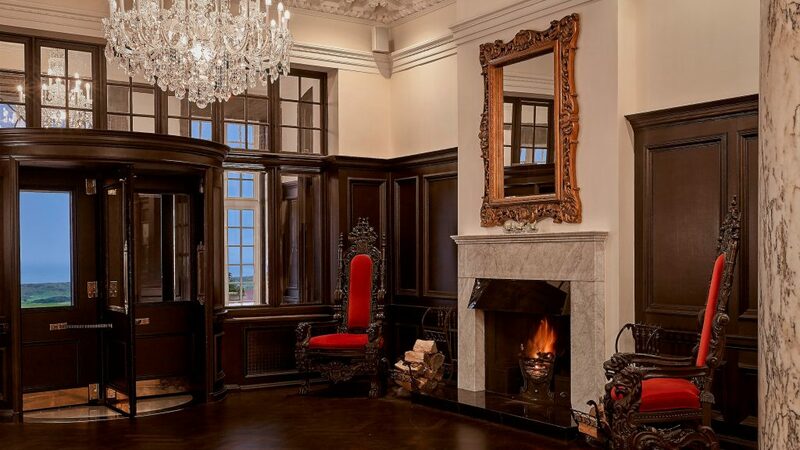 The door opened to reveal a stunning, opulent room with dark navy walls and elegant mahogany furnishings. 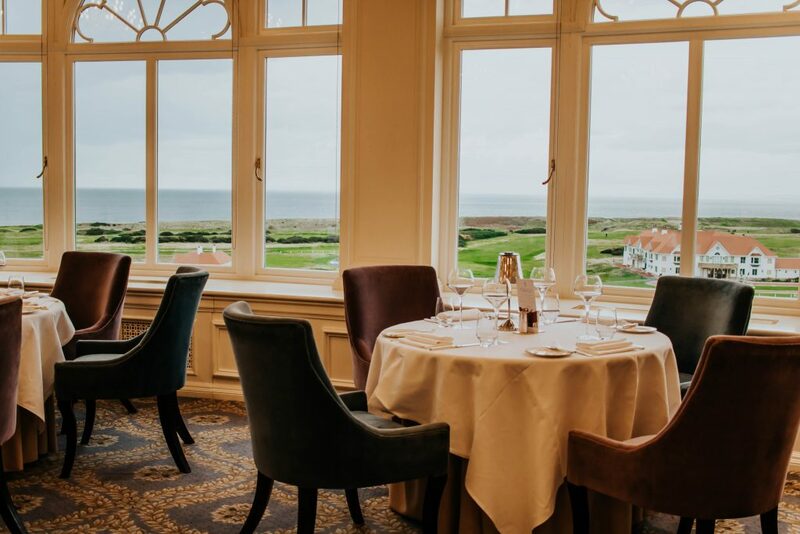 From the floor-to-ceiling windows and the balcony, jaw-dropping views out over the golf course and the wild sea surrounded the room. The king-size bed was gloriously comfortable, while steps away a luxurious lounge area was the perfect place to relax and look at over the stunning view. There was also a beautiful balcony to relax on, enjoying the views and the fresh air. 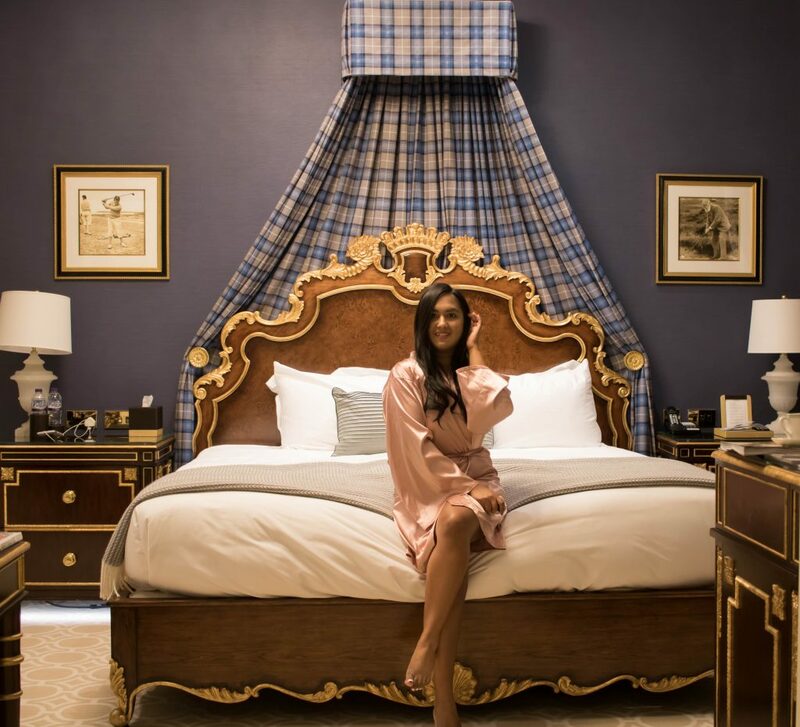 Throughout the rooms, opulent gold leaf, as well as the indigenous tartan, were reoccurring motifs. 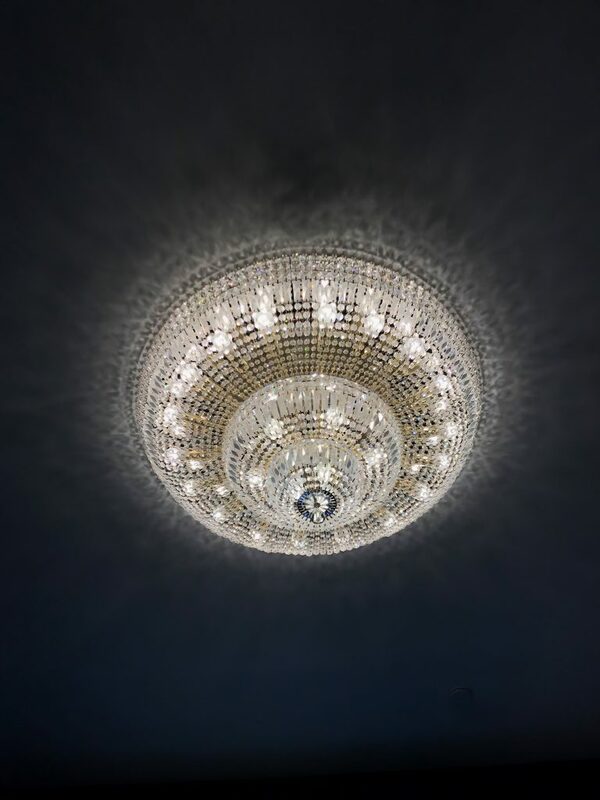 A large, elegant chandelier was an additional touch of grandeur. 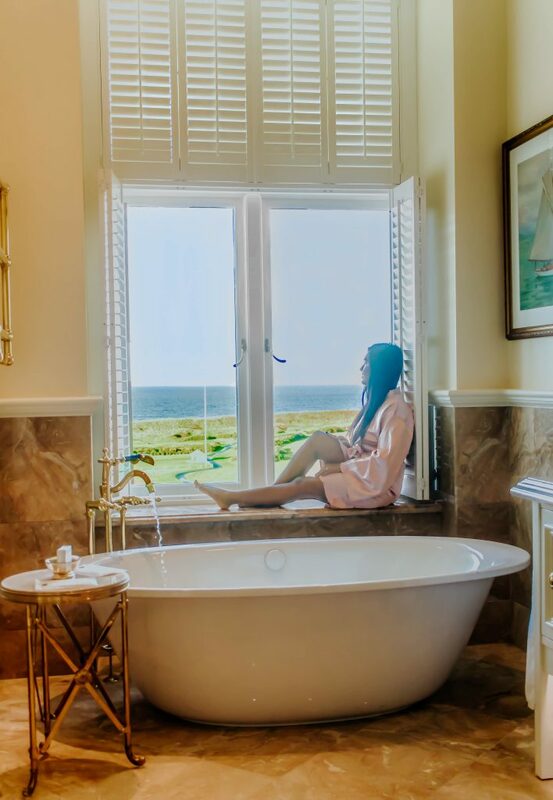 Another incredible feature of the room was the spacious bathroom, complete with an indulgent free-standing bathtub which boasted beautiful views. No detail was overlooked, and I was pleased to enjoy a lovely welcome drink, some cakes and sweets upon arrival. There was also an incredible selection of tea and coffee; with so many choices, even the pickiest of tea or coffee lovers are sure to find something just right. All in all, it was certainly one of the most beautiful and luxurious rooms I’ve ever had the pleasure of staying in. 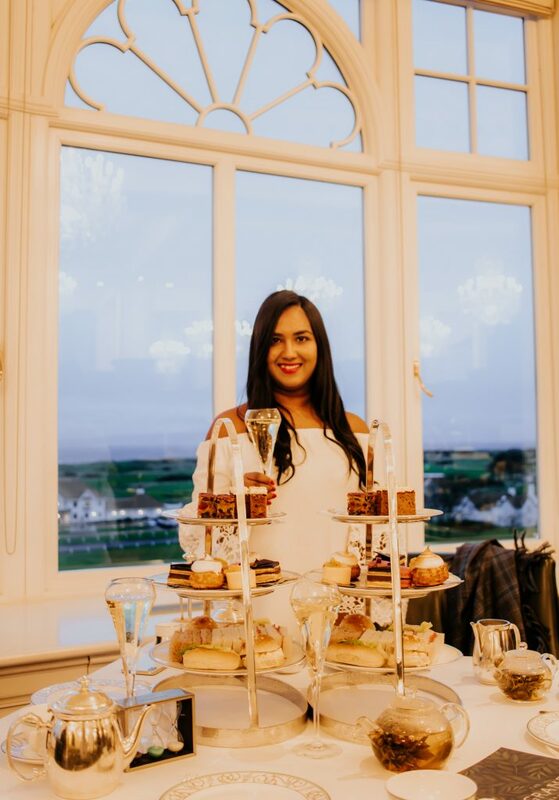 After a little while enjoying the glamour of my suite, I headed down to enjoy a delicious afternoon tea (with champagne) at the Great Tea Lounge, a formal yet relaxed dining space that also offers breathtaking views of the coast. 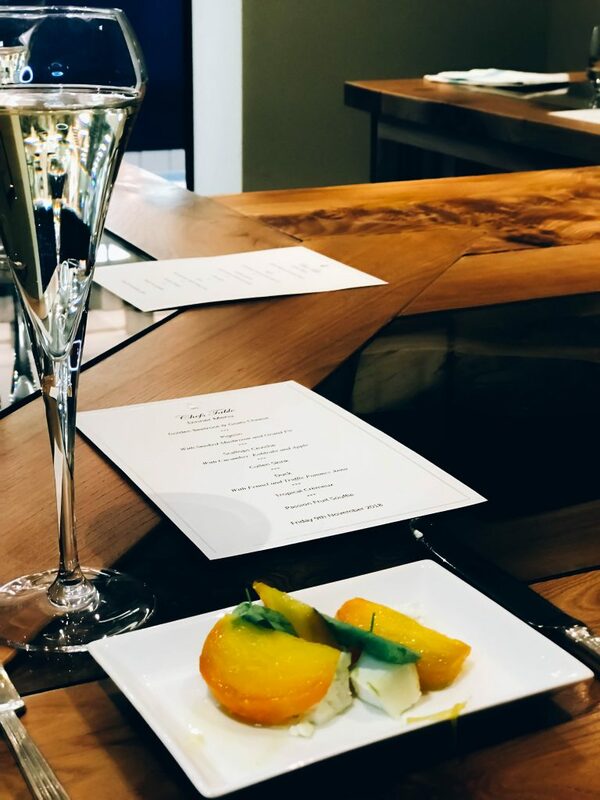 As well as more than 20 teas hand-selected by Twinings, the Great Tea Lounge also offers a modern Scottish menu, with innovative twists. I loved the afternoon tea complete with a selection of pastries and, of course, delectable scones with clotted cream. 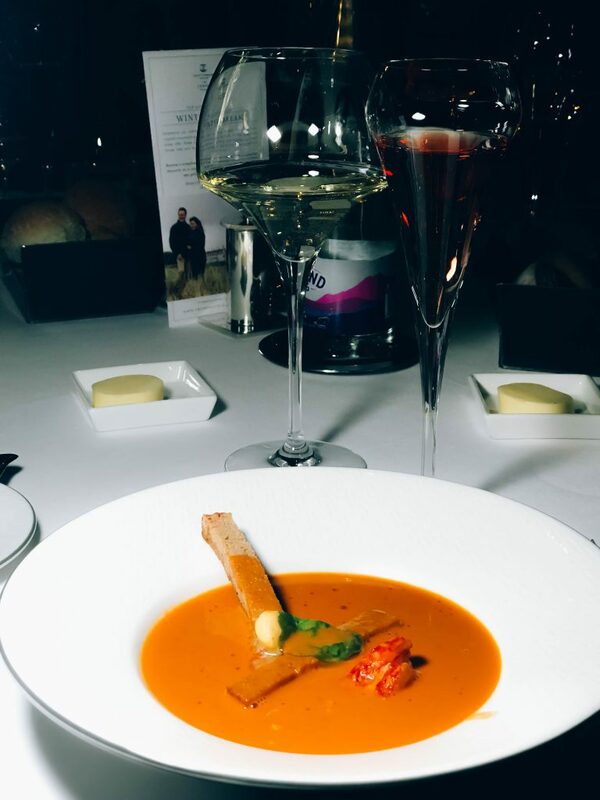 That evening, we had dinner with the other guests and staff at the luxurious 1906 Restaurant, its name a nod to the year that the Turnberry opened its doors. 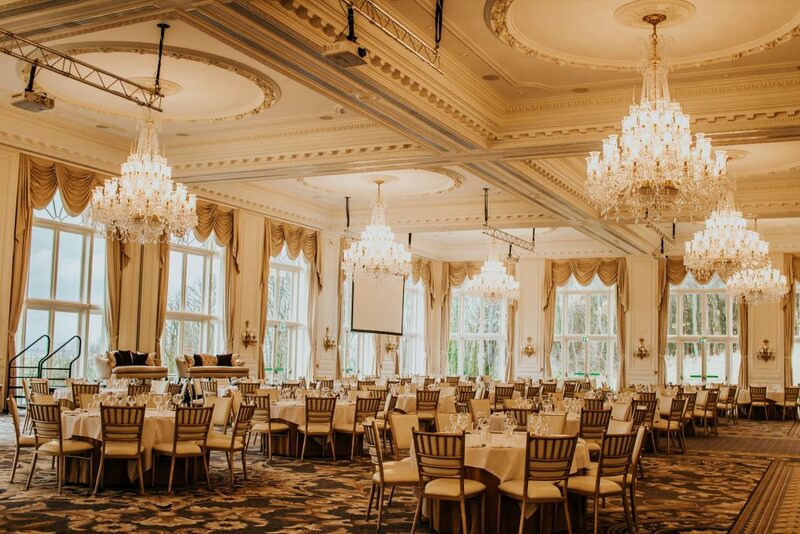 The opulent dining room featured a stunningly ornate ceiling with elegant chandeliers, while the furniture is similarly grand. 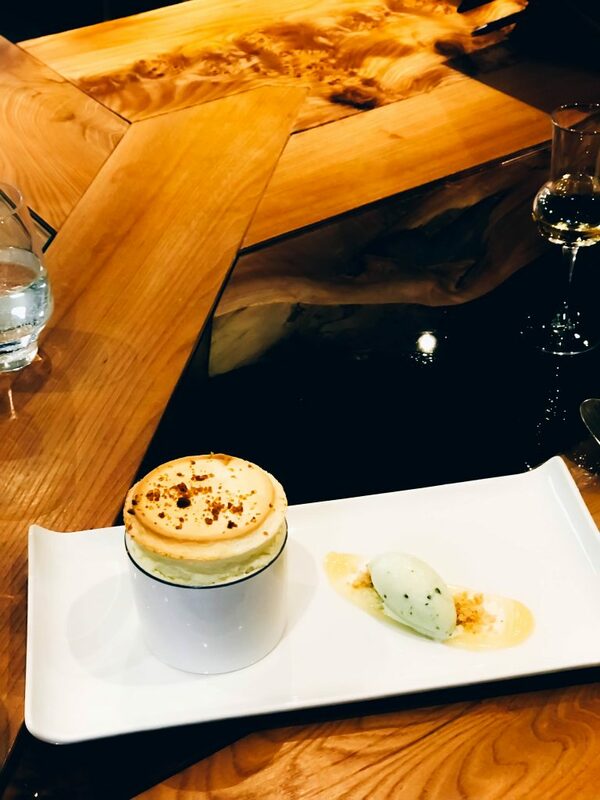 The focus of the restaurant is on creating harmony between the delicious, locally sourced food such as grouse and Dornoch lamb, as well as the sublime wine menu. 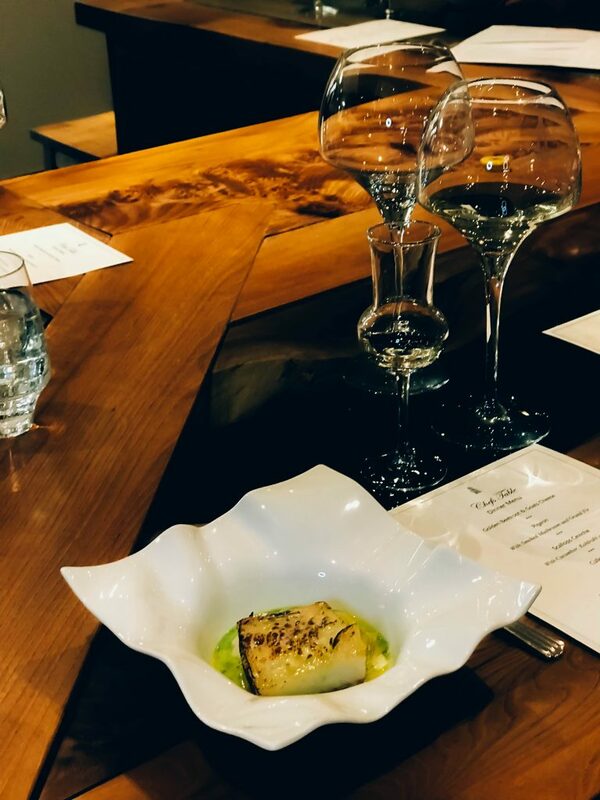 I really enjoyed doing a wine pairing, as it certainly demonstrated the different flavours of both the meals and wine. They also had a selection of non-alcoholic wines, which was appreciated. 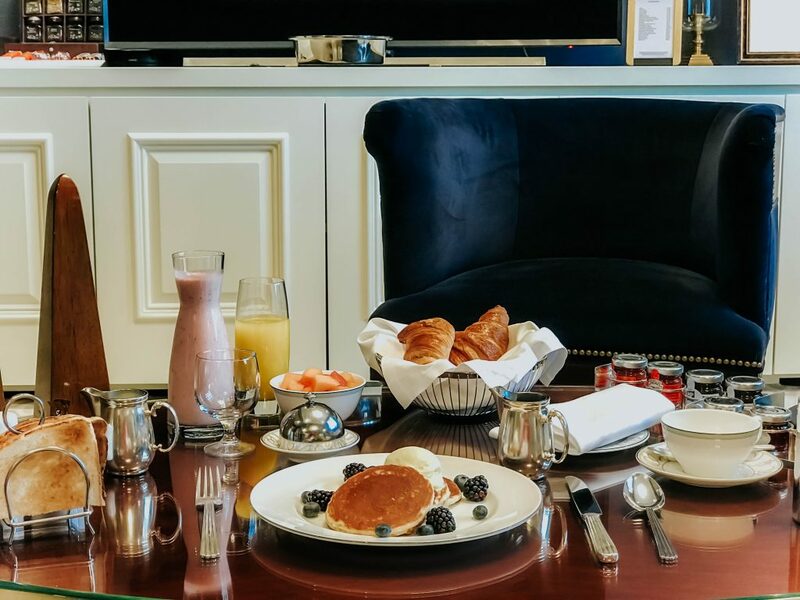 After a wonderful evening, I returned to the suite and awoke the next day to enjoy a delicious in-room breakfast. 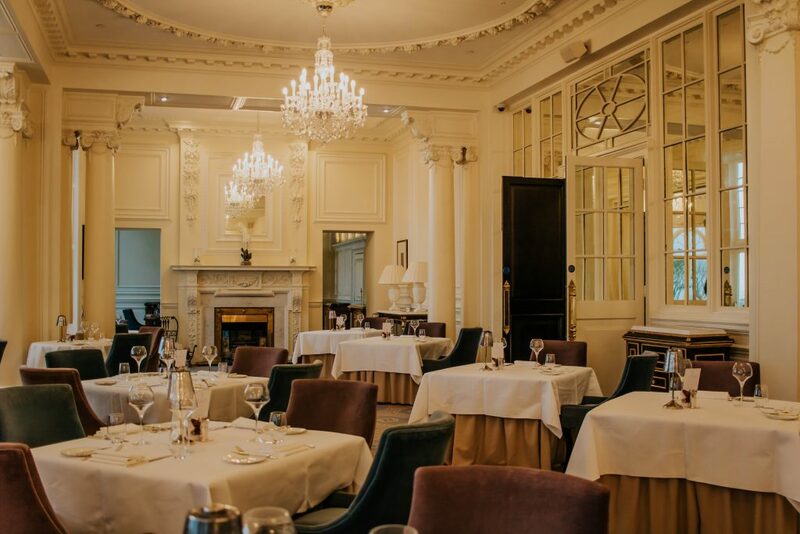 I certainly loved enjoying the delectable smoked salmon in the stunning room, all while taking in the stunning view. For lunch, we enjoyed an informal meal at the Lighthouse Halfway house, which, as the name suggests, is located in the stunning historic lighthouse between the ninth and tenth golf holes. The 360-degree views were absolutely mesmerising, and the sausage rolls were some of the best I’ve ever had! 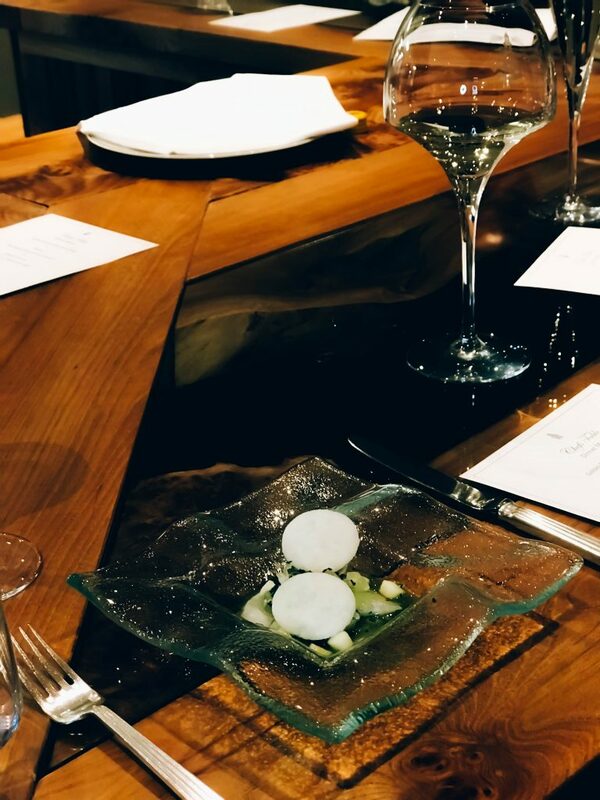 That night, I had the chance to enjoy the Chef’s Table dinner experience where the experienced and passionate chef prepared seven mouthwatering courses for us to try. On my request, they were happy to switch the duck for chicken for me. 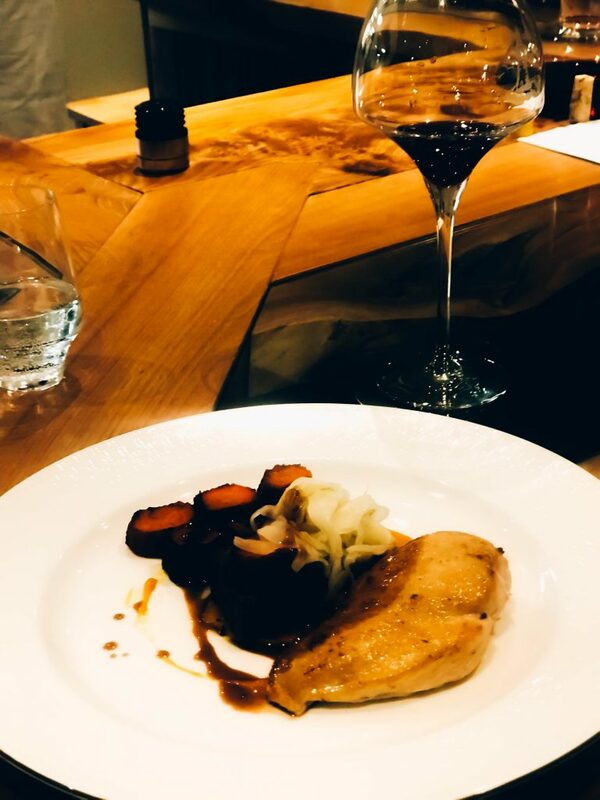 The meal was truly delectable, with courses including scallops ceviche and pigeon with smoked mushroom and grand fir. 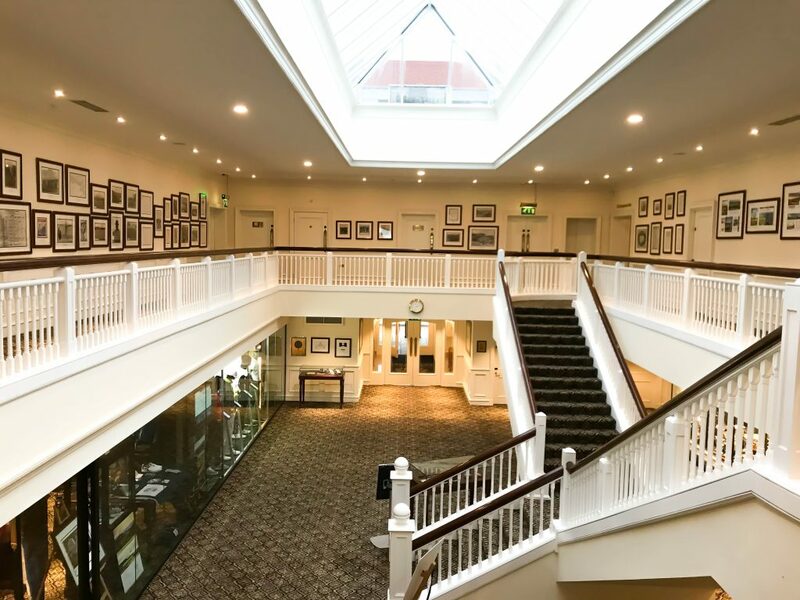 On the final day, we visited the Duel in the Sun, named after a famous competition between two golf pros, and nestled in the hotel’s golf clubhouse. Again, the décor was grand and elegant. 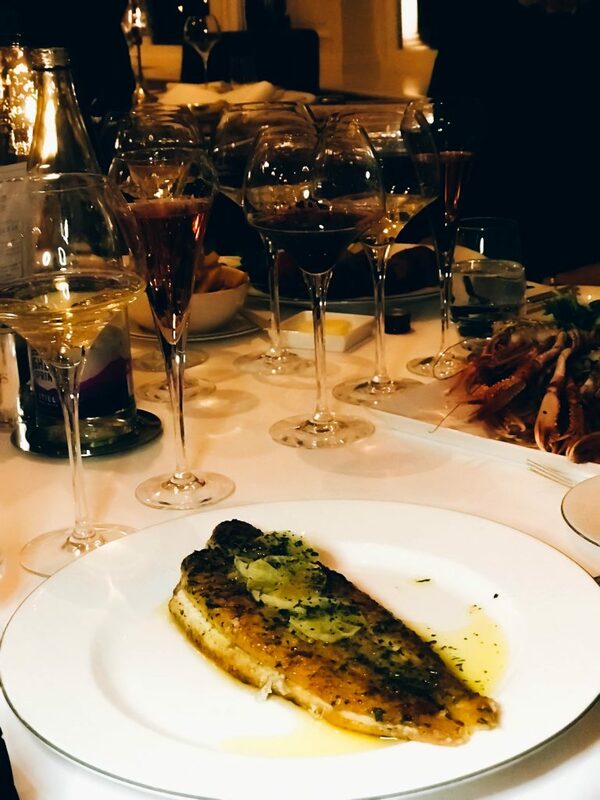 The restaurant is primarily a steak and seafood house, with delicious, locally sourced produce. 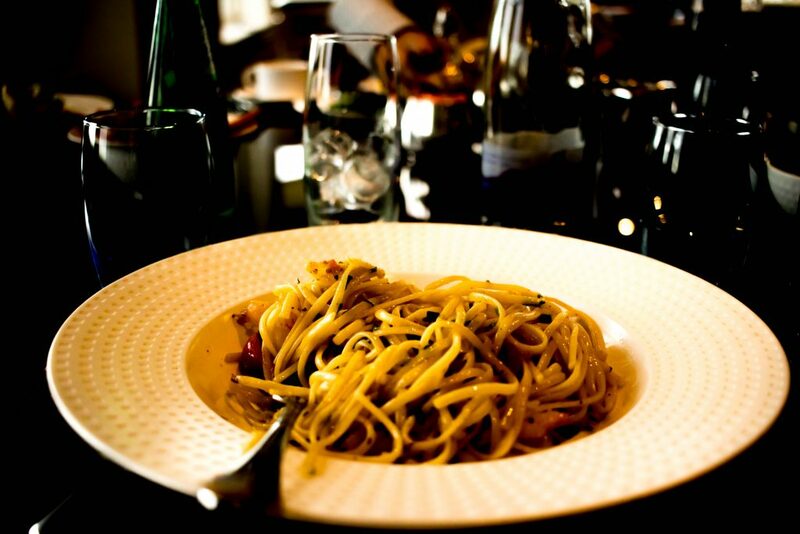 I opted for a delicious pasta, which was delightful and a wonderful last meal at the Trump Turnberry. 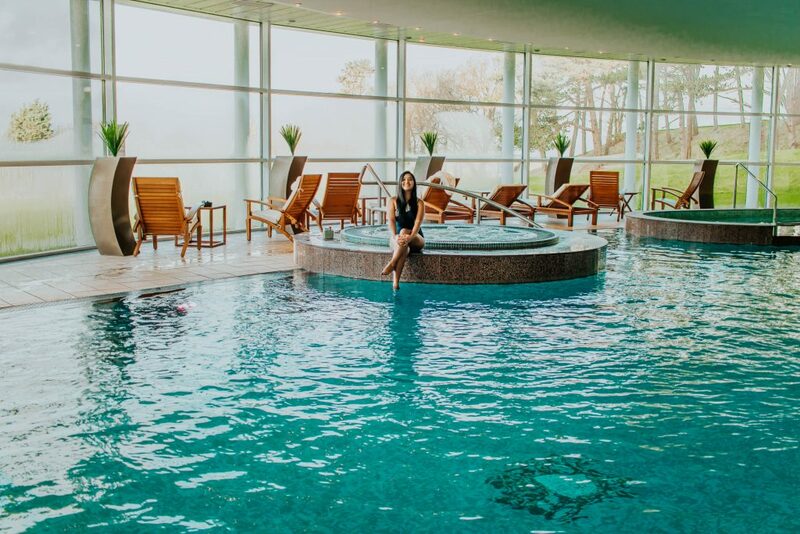 I think every indulgent getaway should have a spa, and the Turnberry certainly did not disappoint. The spa embraces a holistic approach, offering a menu of services as well as a jacuzzi and a sauna. There is also a stunning infinity pool with beautiful views out over the golf course, ocean and Isle of Arran. For my relaxing treatment, I was offered the ‘top to toe’ spa treatment which included a full body scrub and either the massage or facial. I chose the on-back and shoulder massage and head massage with facial, both of which were absolutely delightful and left me feeling relaxed. I especially loved their luxurious isgha organic products that feature seaweed from the Scottish Hebrides. 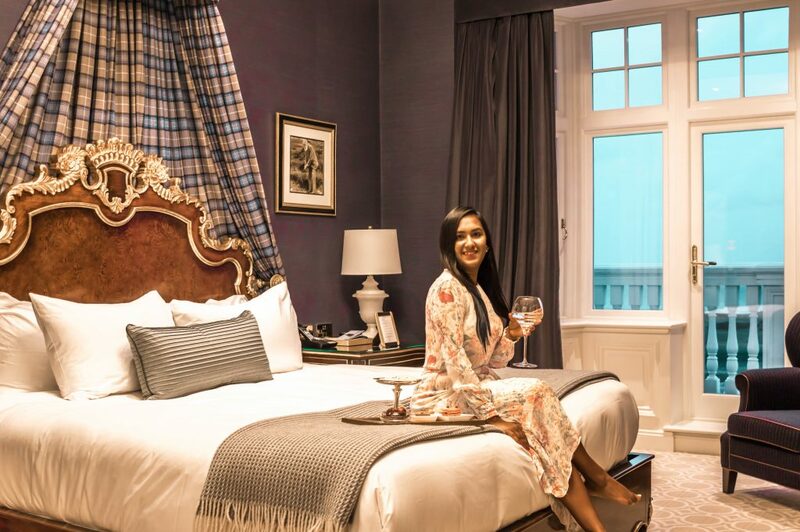 Now renovated the Lighthouse is home to the hotel’s iconic Lighthouse suite. 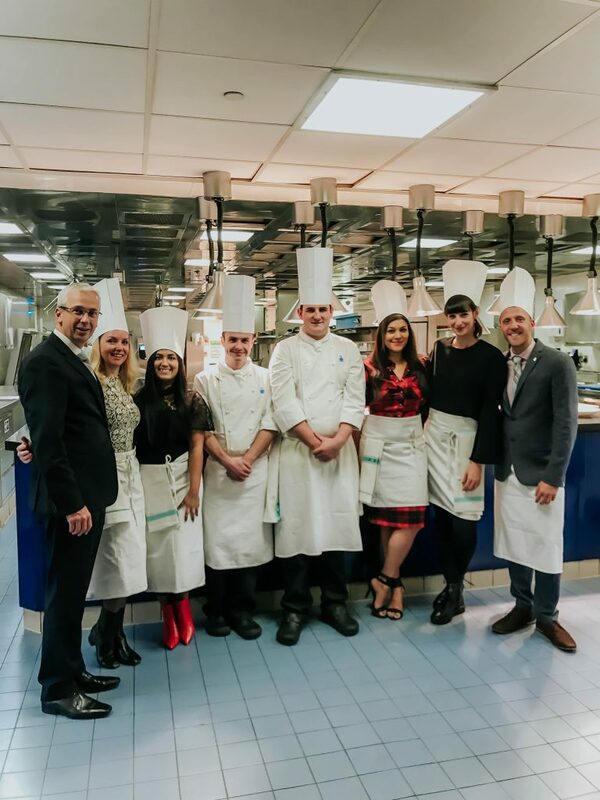 We had the opportunity to check out the stunning suite and climb to the top of the iconic lighthouse and enjoy a 365-degree view of unrivalled panoramic views across the Irish Sea to the Isle of Arran and beyond. 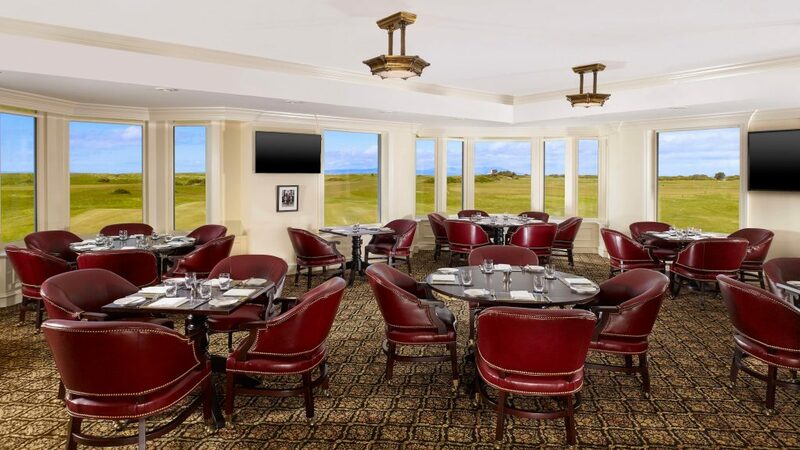 The Turnberry makes no secret of the fact that it focuses heavily on golf; after all, it is just a stone’s throw from the birthplace of the game and has been regarded as one of the world’s premier courses for over a century. However, those who do not enjoy golf will still be spoiled for choice for other activities at the hotel. Although I’d never tried golf before, I was most willing to give it a try, especially in such a prestigious golfing location. 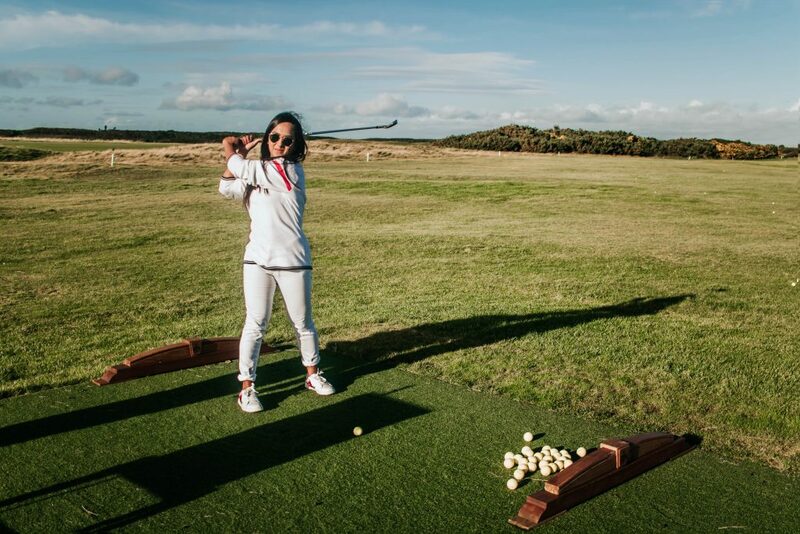 Helpfully, the Turnberry has its own golf academy, where I had a mini lesson following a tour of the beautiful course. Even within a short time, the instructors were able to help me with my swing and get me hitting the ball quite far down the green. Although I might not be joining the PGA Tour any time soon, I really enjoyed the lesson and the instructor were excellent. Another activity I’d never tried but was excited to experience was horse-riding. 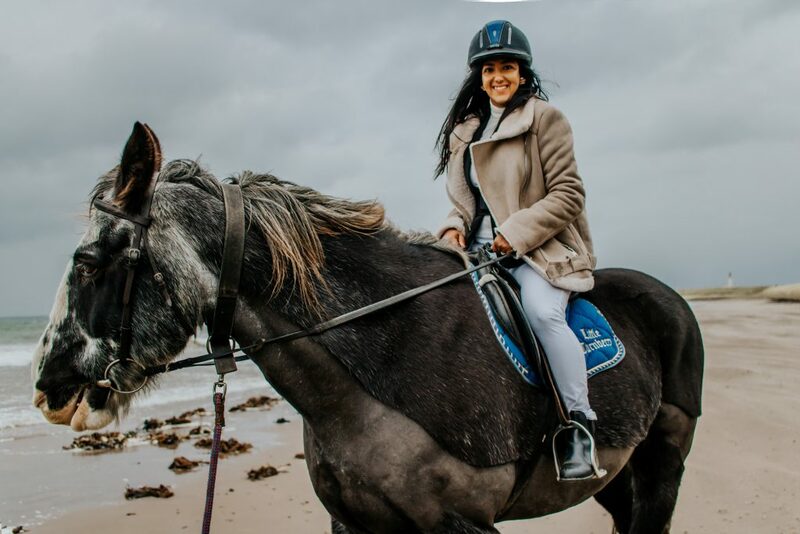 With a stable of beautiful horses as well as ponies for children, the Turnberry offers a variety of rides including an estate trek and beach ride, plus lessons for both adults and children. I was taken on a ride from the stables down to the beach, which was just as much fun as I’d hoped. Although it was rainy, windy and cold, I soon forgot about it as my horse Striker faithfully made his way down to the shoreline. 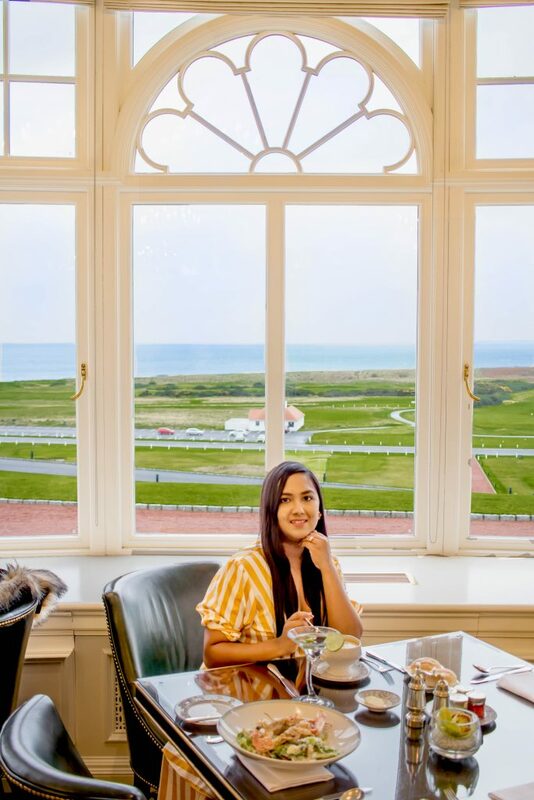 The views were sensational and Striker was calm and beautiful; all in all, it was definitely a highlight of my time at the Turnberry, and something I’d love to try again. 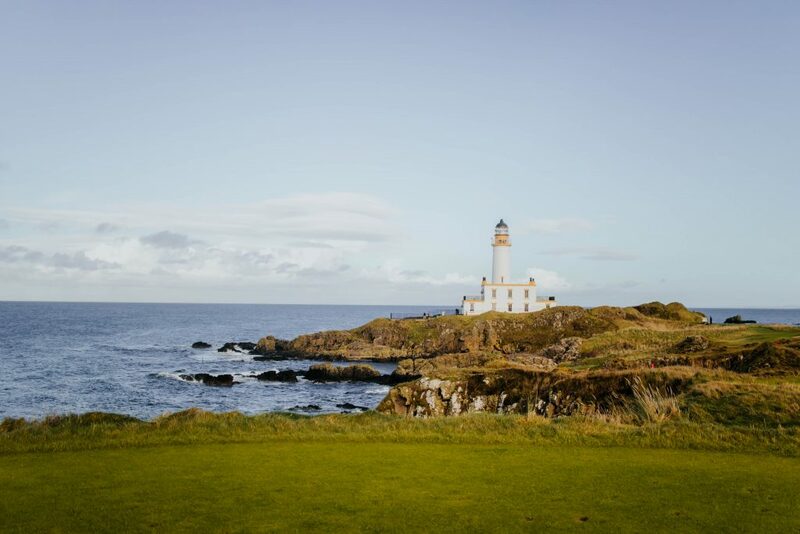 For over one hundred years, the Trump Turnberry has been revered by golfers who dream of playing a round of golf amongst its stunning natural landscape, with lush greens and a stunning, rugged coastline. 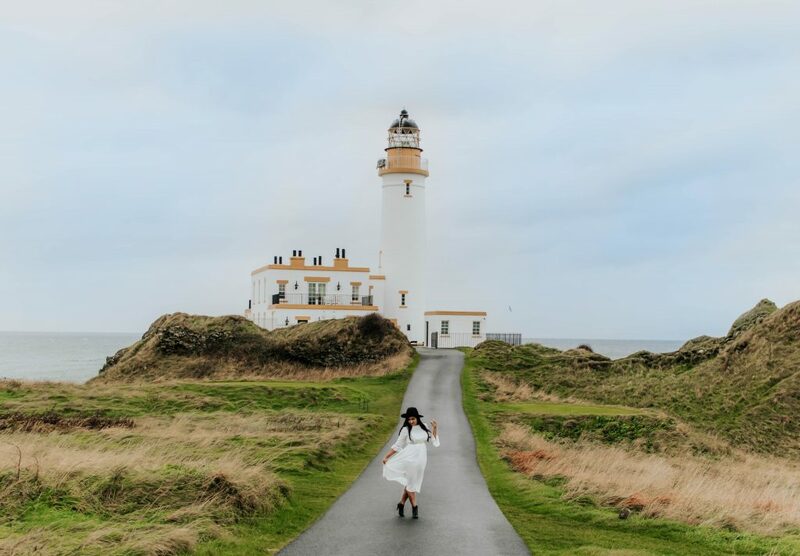 Over this time, the Turnberry has evolved but also remained true to the glamour and opulence of days gone by, creating an incredible base for a secluded escape. 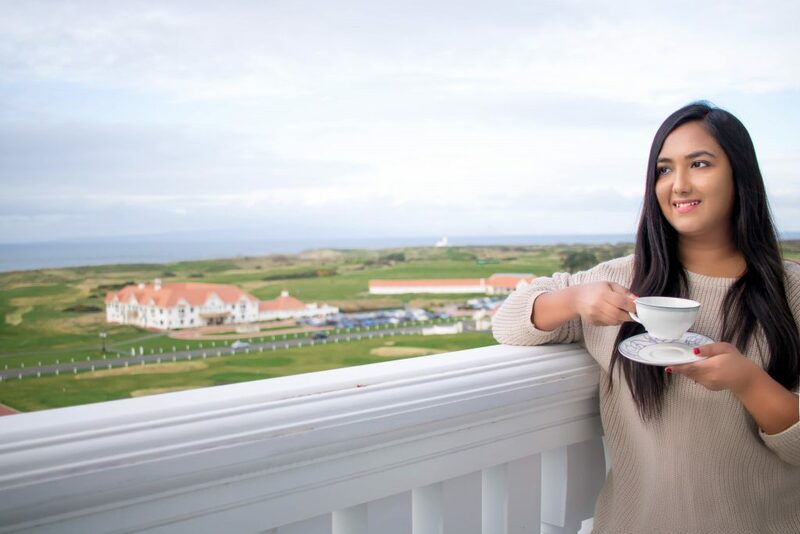 Of course, golf is just one element of the Turnberry’s immense appeal. From its stunning dining options and relaxing spa to its fun and adventurous activities, it is truly a wonderful setting for an indulgent getaway in a spectacular part of the world. Disclaimer: This post has been created as a part of sponsored collaboration with Trump Turnberry, but all opinions are 100% mine.